What Iain reports here shows that the BBC, a public service broadcaster with a duty to be politically balanced, is in fact a propaganda outlet. The researcher called him to be on the show, asked what he would say and then didn't call back. Instead, she tracked down a Conservative who would say what she wanted to hear and put him on instead. Both the researcher and her editor should, at the least, be fired. It is is time to close the BBC, an organisation which has lost sight of its objectives. Link: We pay to have an underclass - Telegraph. I wasn't going to bother commenting on this article. Having read some of the comments on the Telegraph site and elsewhere, however, I feel the need to bear witness. Simon Heffer has told no more than the simple truth. I grew up in the Labour North. I went to a comprehensive school, then recently converted from a Secondary Modern by means of changing the sign at the gate. It was staffed by the same teachers. Its educational record remains, thirty-two years on, appalling. I suspect it is now less successful than when it was a Secondary Modern. My school friends, like me, were from working-class families. Most remained working class themselves. I did unskilled jobs for more than two years in total, during school and University vacations. I worked in a nationalised steel works one memorable Summer. It was losing four million 1970's pounds a week and any fool could see where it was going. My 8 hours a day job took 30 minutes for me to do. My colleagues passed the time flicking a golf ball into a Castella tin all day. They could perform amazing tricks with that ball. Bored out of my skull, I used the other 7.5 hours a day to research and write an essay which won me the only academic prize of my career. It was hardly fair on the other 2000 entrants, none of whom would have spent so much time. Thank you, British Steel. That entry on my CV got me some of my early breaks. Unlike - I suspect - most angry commentators on Simon Heffer's article, I therefore know the working class. Its members have no greater tendency to idleness, violence or vice than their countrymen. I experienced the greatest kindnesses of my life from them. I have loved, and still love, several of them. The best and kindest person I ever knew spent her whole life as a presser in a textile works. She lived in a council house and played bingo for fun. She was my Nan and, though she died many years ago, I think of her - and miss her - every day. When well treated and well managed (e.g. by Japanese motor manufacturers or electronics companies) our working people are capable of producing goods of the highest quality. As I saw at British Steel, they are also capable of descending into zombiedom. There, but for the Grace of God, go I. Had I spent my life in such a non-job, I might now have be able to put a golf ball into a cigar tin after making it execute a triple loop. 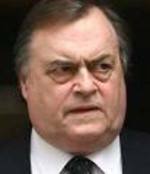 Worse, I might have become an intelligent - and therefore more dangerous - version of John Prescott. Perhaps it is that knowledge that makes me hate him. I moved away when I graduated, but I often return. My only house in Britain now is near where I grew up. Even after applying a discount for the effects of middle-aged curmudgeonry, I can see that the place has degenerated. Sons and daughters of honest working folk live on the dole, or on the sick. "Depression" and "back trouble" are rife. People who once would have been workers are experts in the complexities of the benefits system. The underclass exists. It annoys and dispirits most of all the people who must live near it. The ones who work for a living little or no better than their idle neighbours. The ones who - while Labour bribes those neighbours into continuing dependency - see their wages held down because Labour imports voting fodder from the Third World. No wonder we have gangs roaming our streets. Consider the example set by the Labour Party - the sole political force in those parts and itself - essentially - a criminal gang. It extorts money using the might of the State and deploys it for political gain - to keep the gang members in their lucrative posts. Meanwhile more and more fall into dependence on a benefits system which has "Labour" stamped all through it like a stick of seaside rock. For all the reasons Heffer states, the Labour Party is the greatest enemy our working class has known since Lord Kitchener sent them in their millions to die in the last feudal war. I hate it with a passion. Simon Heffer has articulated why. Link: 'John Prescott to stand down as MP'. Oh, the lecherous, freeloading old bruiser was an MP was he? I didn't know that. I thought he was some kind of National Fool, employed at the taxpayers' expense (of course) to wear cap and bells to cheer up an oppressed people. The question is this. Who is the political heir to the compromising 10x8's whose existence can be inferred from his remaining in clover for 37 years? Link: Outrage at 500,000 DNA database mistakes - Telegraph. "Outrage" is one of those headline words rarely used in ordinary life. I can't say I am "outraged" by yet another example of the incompetence of the British State. To be outraged, or even disappointed, I would have to have some expectation of quality. Nothing in my experience of dealing with it (which is as limited as I could possibly contrive) has given me any such expectation. I do not understand why, faced with any problem, the British knee-jerk reaction is to call on the State to fix it. The State's solution is almost always worse than the problem itself. To look on the positive side, given that our countrymen seem determined to give all their freedoms away, the heroic incompetence of the State is our best hope of a life undisturbed. Like so many of the older people in the former Communist countries I have lived in for the past 15 years, we shall have to learn the art of living a free life in the cracks of a totalitarian society. Link: McCanns call for media obsession to end - Telegraph. Gerry McCann says it all. He and his wife did everything they could to engineer the media frenzy of which he now complains. They did so contrary to the advice - so it was said at the outset - of the Portuguese police. Given full scope, the tabloid journalists have really gone to town. They have trashed the life of a suspect falsely accused by one of them. No doubt she impressed her ediitor with the resulting coverage, the unscrupulous minx. They have insulted the Portuguese police, who have been made out to be country bumpkins by an arrogant British press corps (and some attention-seeking British police officers, current and retired). They have damaged Britain's relations with her oldest ally and made a circus out of a tragedy. In the end, as they always do in looking for a new angle on a stale story, they turned on the protagonists themselves - reporting (quite possibly made-up) "allegations" that the McCanns were suspects. They have sold a lot of newspapers (and Sky subscriptions) by pandering to the low Diana-ish sentimentality of the British working classes, but they have not helped to find the missing girl - for all their sanctimonious professions of concern. As a libertarian, I defend the McCanns' choice as to how to deal with their awful situation. I would also defend the right of the Press to cover stories exactly as they please. Freedom includes the right to be wrong; to make mistakes, or it is nothing. The McCanns and the British Press have made full use of that right. I only hope that it does not now emerge that the media hoo-hah panicked Madeleine's abductors into killing her. The McCanns have enough to deal with without that. Link: 'Rhys police hunt teenage killer'. My more sentimental readers will expect me to begin with a ritual expression of sympathy with the family of this murdered boy. However, I don't know them and I didn't know him so it would be entirely meaningless. Millions die ungrieved by anyone but their family and the whole tabloid notion of "Liverpool in mourning" or even "a nation in mourning" is a crock. Maudlin sentimentalism is part of the disease eating away at the British psyche. It would be far better for those directly concerned (e.g. the police hunting the killer) to get on with their jobs in calm and professional way, without being required to get synthetically emotional. I am sure they know where their sympathies lie. Who wouldn't? Why distract and degrade them by requiring Dianian bleating and Blairite lip-trembling? It would also be better for the friends and family of the distraught parents to gather around and do their bit, without the distraction of public events attended by the same sort of people who rubberneck at car crashes. Consider, for example, the spectacle of the parents paraded before the television cameras in their pitiable condition. They were still talking about Rhys in the present tense. They have not yet even begun to grieve properly. There was not even the usual fig-leaf of an excuse for such exploitative programming - such as is offered when a (blonde, white, blue-eyed, female) child goes missing. No leads will be generated. No public appeal is justified. No purpose was served by that interview other than to satisfy the viewers' schadenfreude. Britain's viewing public seems neither to know shame, nor to have any concept of decency. While the journalists should be ashamed of themselves, their viewers are more to blame. Yes, it was the journos who held the cameras mercilessly on the Joneses as they dissolved into wordless agonies. But anyone who did not turn off that scene of torture, was the author of it. It would not happen if it spiked the viewing figures in the opposite direction. The whole "missing Madeleine" saga was similar. Those of you who shed a tear, go "aaah" and secretly enjoy the fact that it's not you, are to blame. Professional police work may finally bring that sad story to an end. The emotional appeals, the wave of fake public sympathy and the sickening exploitative journalism did no good and may have done much harm. The reaction of the Portuguese police at the outset (that by raising such a ballyhoo, the mad British might be forcing her abductors to kill her) was perfectly sensible. Those who think me hard should remember the tabloid emotionalism of Ian Huntley, who pretended to be part of the search for (blonde, white, blue-eyed, female) Holly and Jessica, having already killed them them and disposed of their bodies. He was faking it. How many others who got their five minutes of fame by giving lip-trembling interviews were faking it too? Grief is solemn and important. It is not to be debased into a plaything for the masses. Is British sang-froid gone for ever? Are we doomed to the decadence of afternoon TV emotionalism? Surely not? If we could regain emotional balance perhaps we (and our judges, who come from the same decaying society as us) might also be less susceptible to criminals' pleas in mitigation based on "social deprivation" and other such pathetic (in all senses) excuses. Link: 'Record number of people leave UK'. If staff turnover increases in a private business it will conduct "exit interviews" with leavers to find out why. Losing experienced staff who understand the business is a bad idea, as is wasting cost on recruitment and training. "Perception of crime is another of the main reasons for people wanting to leave,"
Isn't it enough to be driven out of your home country, without suggestions it is your "perception" that is at fault? Today I rested after my journey from the South of France, before returning to Moscow tomorrow. I had the pleasure of meeting my friend from Second Life and fellow blogger Bag for a lunchtime drink in my home town in Northern England. It was rather surreal that we were able to recognise each other on first meeting as we look like our SL avatars. I am pleased to report that Bag (pictured, dancing at the Blogpower Awards) is just as nice a guy in RL as SL, if not quite as exotically-dressed . Claudia and I will set out early this morning to drive the 1658 km home from the South of France. Much refreshed after my holiday, I am looking forward to this trip. Blogging will be light as our overnight stop is not endowed with broadband. Normal service will be resumed, deo volenti, as soon as possible. Link: An Insomniac: Blogpower Round-up #1. A new dimension to the Blogpower experience? Thanks to Matt M., for a job well done. Follow the link and check it out.